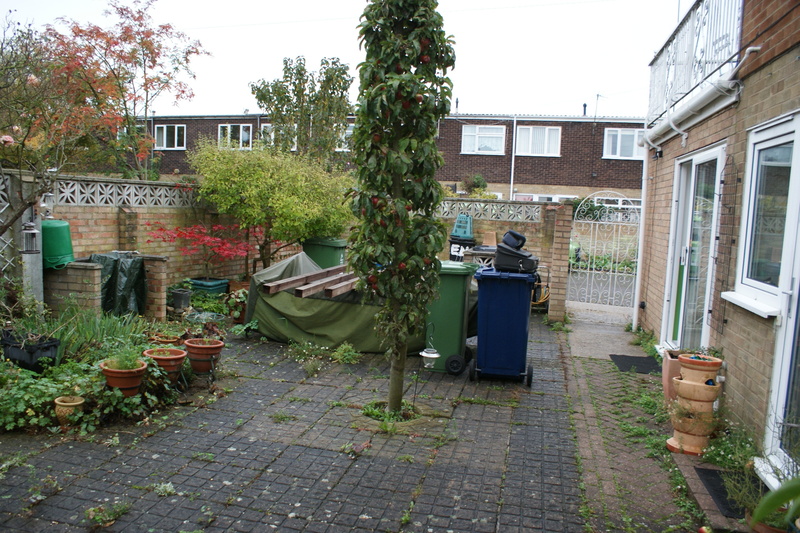 I recently went back to visit a small garden we created in Cambridge in early 2014. 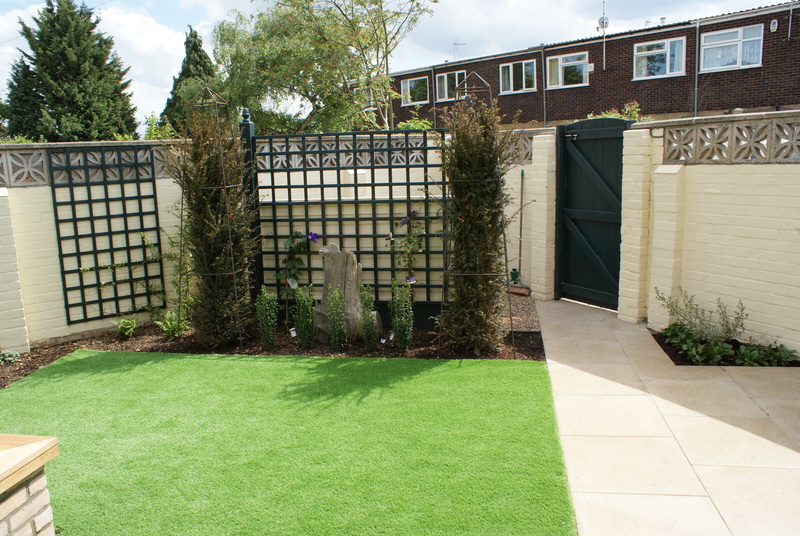 It was designed to be very low maintenance and included easy care smooth paving and artificial grass. 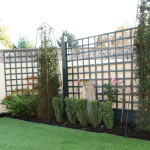 Beds and borders were minimised but the whole design was set at an angle so that the borders would still have some depth to them. 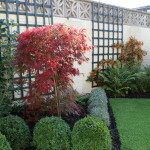 The central feature in the garden is a seating area around a table which converts into a fire pit. The benches are made of garden walling blocks and the bench tops are made with a good quality seasoned white oak. 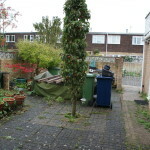 I am particularly pleased with the way in which the bin storage area has been concealed from view. 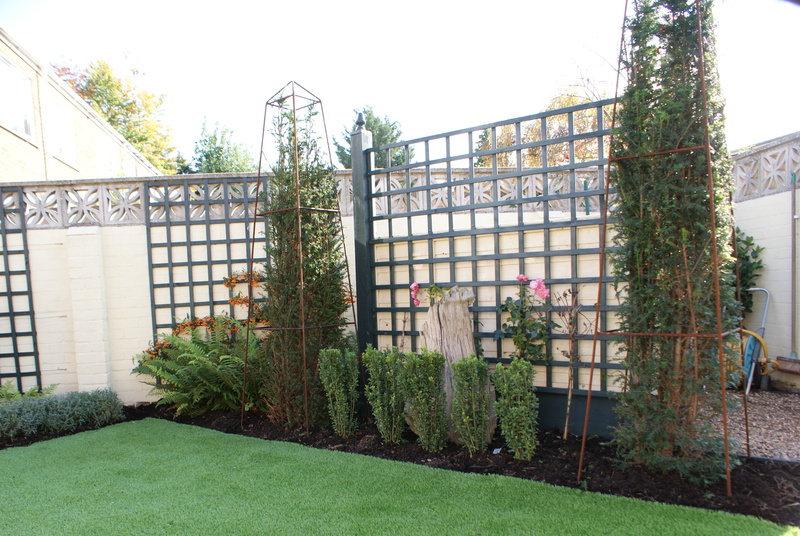 Late Oct 2014 and the planting is maturing quite nicely Spring 2016 should see a good spurt of growth on the Taxus obelisks, which are already forming a striking feature. The lavender and other shrubs have just been pruned back for the winter but already they have thickened up to create a strong boundary to the borders. and he tells me it has brought great enjoyment. 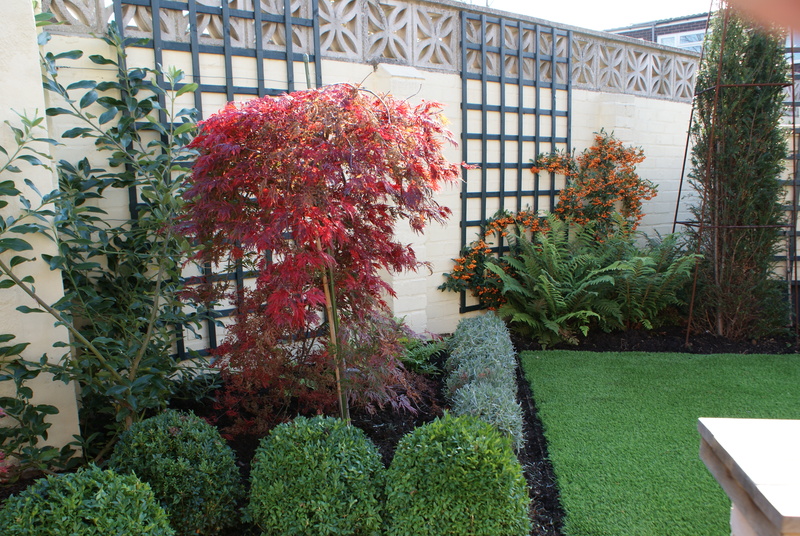 it is always gratifying to know that my gardens bring pleasure to people and as we come to the end of 2015 I am really looking forward to the challenge of designing more great gardens in 2016.